66.4% returning visitors, 33.6% new visitors. Age: 18-24, 27.5%; 25-34; 33.5%; 35-44, 15.5%; 45-54, 12.5%; 55-64, 5.5%; 65+ 5.5%. 65% of readers are from greater Muskegon area. Local Sports Journal, which will be six years old in the summer of 2018, has drawn rave reviews for the service it’s provided to the Muskegon County and lakeshore athletic community. Operating on a very small budget with a limited staff, LSJ has first and foremost restored daily coverage for local high school sports. With the recent decline of daily newspapers, local kids and their teams were getting less and less daily coverage, until LSJ came on the scene and restored that important service. LSJ has relationships with nearly every varsity sports coach at 22 different high schools in West Michigan, from Ludington to the north, Kent City to the east and Grand Haven to the south. Coaches provide raw game statistics on a daily basis, and the LSJ staff turns that information into thousands of daily game stories every season. 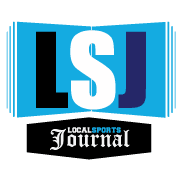 LSJ also publishes dozens of online feature stories about standout area high school athletes, offers live coverage with photos of top games in the area throughout the school year, and publishes a full-color monthly magazine that’s largely comprised of high school sports news. By restoring daily news coverage for high school sports, LSJ is playing a unique and important role in encouraging kids to participate on their school teams. By witnessing the publication of their game scores and individual statistics, students gain more of a sense that their efforts are significant to the community. The benefits of student participation in school sports is well documented. The kids learn about self-discipline, hard work and dedication, goal achievement and teamwork. In short, high school athletes achieve positive things, for themselves and their communities. LSJ coverage of their accomplishments encourages them to continue to play and strive even harder. Local residents also tend to support their high school athletic programs when they are more aware of them. 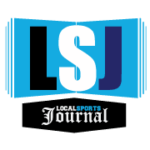 LSJ plays a big role in keeping people along the lakeshore in touch with their local athletes and teams. Area readers and athletic supporters can help give the LSJ’s efforts a boost by clicking the ‘donate button’ below and contribute any amount to the PayPal account linked below.